My family and I stay at an Airbnb property nearly every time we go on vacation. We look for a few things when booking an Airbnb property: at least ten positive reviews, pictures of every room of the property, and a responsive owner. We also have family members who list properties, and their Airbnb host checklist is similar to avoid vacancies. We’ve had some wonderful stays over the years. We even have two places where we’re repeat customers because we love the places or landlords so much. However, not every property stay has been perfect. Those less-than-perfect experiences guide every stay we take. 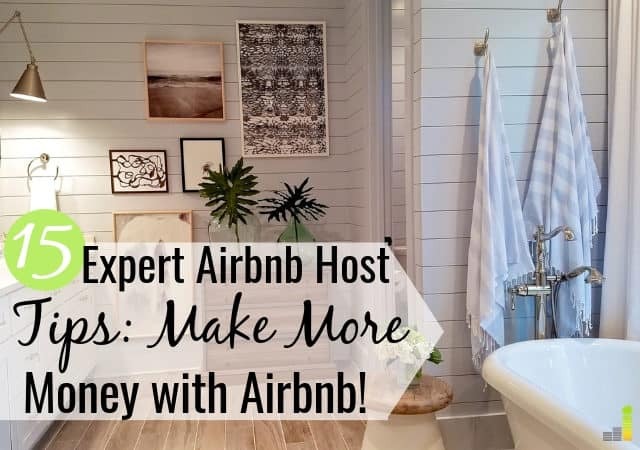 If you run an Airbnb property, you want to minimize those poor experiences and make as much money as possible. Passive income is the holy grail of making extra money on the side. Rental property, especially through a site like Airbnb, is one of the best passive income ideas because it requires minimal ongoing work on your part. Of course, there is some upfront work to list a room or entire property on Airbnb. Following this Airbnb host checklist means mitigating ongoing work and getting bookings on a regular basis. Do you want to list a room or property? Follow these Airbnb host tips to make money with your listing. Before listing your property on Airbnb, you want to make sure you can legally do so in your area. Airbnb provides this helpful article on their site, but they do not list your specific area. Each city has its own laws regarding short-term rentals. To find out if your city allows short-term rentals, go to the city’s website and read their regulations on short-term rentals. If short-term rentals are allowed in your city, great! The next task is to verify your neighborhood association allows it. This could be more problematic, especially if you list your residence. However, if you’re in the clear with both your city and neighborhood association, it’s time to move on and list your property. What are the Airbnb host requirements? Before listing your property, it’s important to know the Airbnb host requirements. You must provide the essentials for a stay. This includes toilet paper, linens, soap, and at least one pillow and one towel per guest. You must respond to booking requests within 24 hours. You should accept reservations when you have a vacancy. You should try to avoid cancellations. The Airbnb host cancellation policy is pretty rigid, so keep that in mind. You should be able to maintain a high overall rating from guests. If you can meet the above criteria and legally list a property, there is no reason you can’t make good money with Airbnb. It never ceases to amaze me to find Airbnb listings with incomplete information. That tells me one thing as a potential guest – that you have no real interest in promoting your property. I’ve often found that results in a subpar experience. The listing is your advertising for your property. You are competing against other properties, so you want to stand out. Leaving potential guests to guess about information will result in fewer bookings. Go to the Airbnb host login page – it’s free to list your space. Select your type of listing. This can be a room, a house, or an apartment. It’s also helpful to include whether or not it’s a dedicated space or if you live there, too. Provide high-level details of the property. This should include number of bedrooms, bathrooms, amenities, and what guests have available to them – think parking, pool, etc. Add photos. We’ll cover this in detail later, but photos are important. Provide a brief summary of the residence. Airbnb only allows you 500 characters, so take full advantage of them. Think of your ideal guest and what would stick out to them. Name your property. Don’t overlook this step. You want to create a listing name that grabs attention. It’s best to think of what’s most appealing about your property, from the place itself or location. The final step is to review the guest requirements. This is where you set the Airbnb house rules and if you want to review each potential guest individually. This may seem like a lot of work. But a good listing can mean the difference between having more bookings or experiencing frustration at low earnings. Deep cleaning your property is a necessity before listing and taking pictures of your property. In short, you want your property to be spotless. Think about what you look for when going on vacation. Do you like to stay at a property that’s dirty or full of clutter? Probably not. Cleaning your property will take time on your part. You can hire a cleaning service but that’s an additional cost. Regardless of which one you choose, think of it as an investment in your property. If your property is dirty, guests are likely to leave that in their review. I know we have. We’ve also not picked properties because reviews mention how dirty they are. This step may take the longest, but it’s well worth the time and expense. Photos are a major part of your Airbnb listing. In fact, they are as important as your reviews. Good pictures highlight your property and let a guest imagine what staying there will be like. We’ve chosen not to stay at listings with bad pictures. I know other guests feel the same way, so make sure to have good pictures. What makes a good picture for an Airbnb listing? Use the above tips and you’ll have pictures that showcase your property in the best light. Great pictures is one of the best ways to make money with Airbnb as it often results in more bookings. When we’re choosing a property, response time is a close second to cleanliness. Nothing is worse than trying to book a property and having to wait 24+ hours for a decision from a host if you can stay at their property. Airbnb knows this and gives feedback scores to all hosts. You want to be perfect in your response time since this can impact reviews. The questions often revolve around booking times, so make sure your calendar is accurate. Pricing, regardless of the industry, is always tricky. You want to choose a fair price that won’t drive away potential guests but also allows you to make a good profit. Airbnb does offer their ‘Smart Pricing’ feature to help you with pricing. When creating your listing, you can use this tool to determine a fair, competitive price. 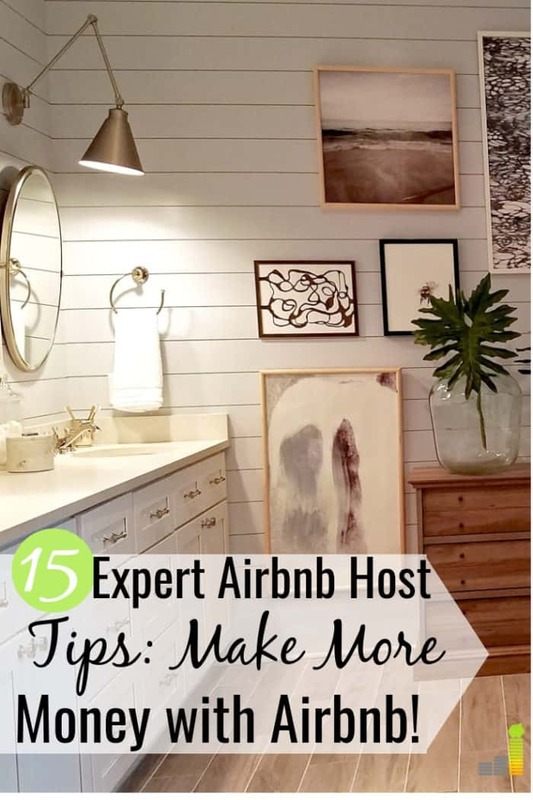 You don’t have to use it, but it can be helpful when starting as an Airbnb host. Pro tip – Airbnb recommends offering a discount to the first few guests to help encourage positive reviews. If you’ve ever looked at Airbnb listings, you may notice some properties have a minimum night stay requirement. This can be a double-edged sword. You obviously want more bookings, but you may not want to turn over guests every day. This will lead to increased costs to clean the property. Only you know your situation, so keep the pros and cons of a minimum night stay requirement in mind when listing your property. Similar to a minimum night stay requirement is the ‘Instant Book’ feature on Airbnb. If you use the ‘Instant Book’ feature, it allows guests to book your property without contacting you first. This may be a great feature for you, but for others, it may not work. ‘Instant Book’ lets you get more last-minute bookings, but it also means you can’t screen guests. Only you know what works for your needs. If being open to more last-minute bookings is important to you, ‘Instant Book’ can be an effective tool to use. This applies directly to Airbnb hosts who also live at the property. We’ve stayed at properties where the host lives there and you have to enter through their front door. This can lead to a variety of issues, and ones you likely want to avoid. If you live at the property you’re listing, you want to have a separate entrance. This makes it more comfortable for your guests to enter. It also makes it more convenient for you as the host since it eliminates the need to worry about when the guest will arrive. If you listen to any of my Airbnb hosting tips, it’s this – have a key code entrance to your property. This not only makes it easier for guests to enter, but you can even use systems that allow you to see when the code is entered. You can even see when the guest walks in the door. Many key code locks let you reset the key code after each visitor, so there’s no security concern. Here are the best key code locks on Amazon, most of which are easy to install. A key code entrance is a must-have. You want to provide the access code within 24 hours of the guest’s stay. This way they have the code and don’t have to contact you when they arrive. Don’t stop there, though. Just as important is having a well-lit entrance. Your guest may arrive late at night, and nothing is more frustrating as a guest than having to use a keypad with little light. I recommend a motion-sensing light that gives ample light to enter the code. Proper lighting also helps when they bring in their bags for the night. We’ve arrived at properties past 1:00 a.m. before and had no issue thanks to proper lighting. We’ve also arrived at properties just after dark and had problems because the host provided little to no exterior lighting. It may seem like a small detail, but you never know what someone will leave in a review. And remember, the reviews impact the decisions of potential future guests. This is likely one of the most overlooked things on my Airbnb hosting checklist, but you want to explain everything to your guest. Think of this as a manual to your property, answering any question they may have about your property. We’ve had hosts text us instructions before a stay. We’ve also had hosts email instructions prior to a stay. That’s great, but you want to provide printed instructions at your property. This can be as simple as a printed sheet, or it can be several sheets in a notebook. We’ve seen both, and both work great – just make sure it’s clearly visible upon arrival. Think of providing printed directions as a way to answer any questions. The more clear information you provide upfront, the less they have to bother you during their stay. Guests that feel at home are more likely to leave positive reviews and are more likely to become return guests. There are two key things you can do to make them feel at home. You can invest today with little money through Ally Invest. If you’ve been wanting to start investing, check out Ally Invest! First, educate them on the area around your property or city as a whole. Tell them about popular restaurants, destinations, and places you like to visit. This can be included in your printed directions and can be a great way to help them explore the area. Second, consider providing a few small snacks or water bottles upon their arrival. This can be as simple as several small bags of trail mix, granola or protein bars, or several small bags of chips. This is by no means a must, but it goes a long way to show your guests that you appreciate their visit. Many guests like to cook some of their meals while on a trip. We like to cook at least one meal per day while at a rental to help save money. You need to provide some basic necessities at your property for guests who want to cook. Don’t go overboard. You don’t want to have too much clutter, but you do want to provide enough so guests can cook basic meals. You will also want to provide items like cleaning materials and dish soap. Anything you would need to have basic kitchen operations needs to be included. The last thing you want to do is have a dirty bathroom for your guests. Make sure it’s clean as you would appreciate the same thing. Just like in the kitchen, you want to provide a few basic items in the bathroom. Not only are many part of the Airbnb host requirements, but it’s also common courtesy. I have seen some hosts provide shampoo or body wash. That’s nice to have, but certainly not necessary. Many properties we’ve stayed at often have travel size bottles left over from previous guests to use. While not part of the bathroom, you also want to provide extra pillows, blankets, and hangers for guests. We’ve used Airbnb for years but just saw this with our most recent stay. Our host emailed me the day we left saying they left us a review and would love to get a review in return. He didn’t assume it would be a positive review, since he asked for feedback on what he could do to improve. He also asked that our review be genuine. We already loved our stay, so leaving a positive review wasn’t an issue. What this communicated to me is that he viewed being an Airbnb host as running his own small business. Speaking with him during our stay it was obvious he’s working to create passive income through his listing. I was more than happy to help and leave a positive review. As a side note, he had over two dozen reviews spanning at least a year, so I know he’s not new – he’s trying to grow his business. How Much Does it Cost to Become An Airbnb Host? Airbnb hosting fees: Each time your property is booked, Airbnb charges three percent of the income. You can add this into the price of your listing to help offset the cost. The Airbnb hosting fee is worth it when you consider their huge marketplace and other resources they offer. Airbnb tax form: You’re making income on the side, so tax is an obvious issue. Most cities collect this tax through the Transient Occupancy Tax (TOT). Like the Airbnb hosting fees, you can bake this into your listing price and send it to the city each time you need to file. Airbnb host protection insurance: You likely will find your home insurance does not cover short-term rentals through Airbnb. With the Airbnb host guarantee covering property damage and their Host Protection Insurance for liability, you’re supported as a host. You may also want to consider a separate business policy, but you want to consult city regulations before doing so. Cleaning costs: Airbnb allows hosts to include a cleaning fee as a part of the cost of the listing. It’s best to clean your property after each guest, so you must consider if you want to outsource the cleaning or do it yourself. You also want to keep other miscellaneous expenses like toiletries, toilet paper, and dish soap in mind along with the cleaning costs. The key with this Airbnb host checklist is to put yourself in your guests’ place. What do you like to experience when staying at a vacation property? It’s likely your guests want something similar. You want to make their stay with you as comfortable as possible. They want a clean, hassle-free place to stay. Nice touches like helping them find something in the area, or simply being available to answer questions, adds to their positive experience in your Airbnb property. The result is more five-star reviews with positive remarks. The more you receive, the more your property stands out. That is how you make money with Airbnb. What do you look for when choosing an Airbnb property to stay at? What are other ways you’ve made money with real estate? What’s a deal breaker when choosing a vacation property? Having used Airbnb all over the world for many years now, I agree with everything on this list. Sometimes the smallest extra touches are the biggest differentiators. It helps to be thoughtful and put forth some extra effort! Exactly Jon! It is those small touches that can really make a difference when trying to make money as an Airbnb host.